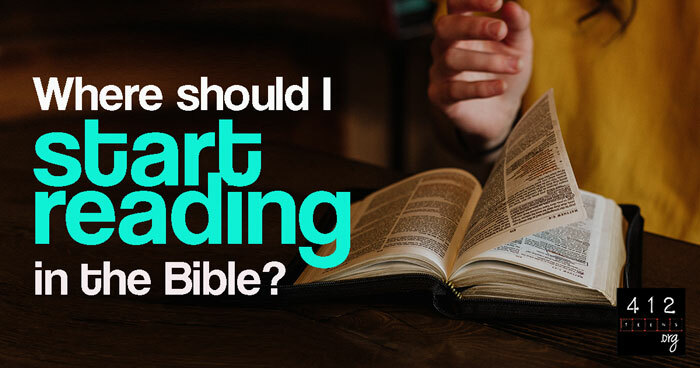 Where should I start reading in the Bible? Start reading the Bible wherever the words excite you and speak the loudest. 2 Timothy 3:16-17 says, "All Scripture is breathed out by God and profitable for teaching, for reproof, for correction, and for training in righteousness, that the man of God may be complete, equipped for every good work." That means ALL of the Bible is valuable. It doesn't matter where you start reading; what matters is that you read at all. God uses the Bible to whisper into the hearts of His sons and daughters, and studying His Word is way to open your door to Him (Revelation 3:20). The Bible isn't a cover-to-cover kind of book. The friend suggested that I skip ahead to the Gospels and learn about Jesus, assuring me that it was OK to read the Bible in non-sequential order. And he was right! Those first books got me hooked but skipping ahead helped me make overarching connections. Hebrews 4:12 says "the word of God is living and active, sharper than any two-edged sword, piercing to the division of soul and of spirit, of joints and of marrow, and discerning the thoughts and intentions of the heart." No matter where I turned in the Bible, God had something to tell me about how His Word could affect my life. And the same is true for you! Try seeing the Bible less as a single book and more as a library of love letters from God to you. In these letters, He tells you His story. He tells you how this beautiful universe came into being. He tells you how He created and cared for the first humans. He tells you how His people constantly wandered off the path when they should have been following Him. He tells you how He ultimately redeemed their inherent ability to mess up. And He tells you how all this applies to YOU and YOUR life today. If you're really lost or still unsure of where to start, like I was when I first picked up a Bible, we've got some suggestions for you! But remember, start where you feel inspired and excited to read, and don't be afraid to skip around. Keep in mind that this is just a sampling; it's not exhaustive. We're providing this for your reference as you begin to explore the library God made for you. These books tell the story of Jesus' life and ministry from four points of view. Matthew tells Jesus' genealogy and how He fulfilled Old Testament prophecies. Mark is a quick, action-packed read. Luke thoroughly describes Jesus' ministry, emphasizing the historical accuracy of eyewitness accounts. John focuses on who Jesus is as a person, what He taught, and what it means to have faith in Him. The word epistle comes from the Greek epistole, meaning "letter" or "message." Epistles on scrolls were the primary method of communication at the time. The authors of the Bible's epistles were either apostles (Paul, Peter, John) or Jesus' family members (James, Jude). These letters contain TONS of advice and instruction for new and old believers, men and women, church leaders and servants, single and married people, business owners and employees—you name it. Many biblical principles believers can apply today are found here. The very first book of the Bible lays out how God created our universe, how humans fell into sin, and how the effects of those first events rippled throughout following generations. It's a great foundation and introduction to who God is because we see Him interacting with different types of people in different situations. These books can be a little tough to read because they're full of the laws God required for the Jews. But they can help us better understand why the Pharisees of the New Testament were such sticklers about God's law. They can also provide context for understanding just how massively Jesus shook up the Jews' world centuries later. The history of Israel really has its roots in Genesis and Exodus, where we learn about the Hebrews. Abraham and Sarah's grandson, Jacob (whom God renamed Israel) had 12 sons who carried on the family line; each son’s descendants formed a particular tribe of "the children of Israel." One of Jacob's descendants, Joshua, took command of the Israelites after Moses died (Deuteronomy 34:9), and the books of Joshua through Chronicles record their many tales of triumph and woe. These are like the poetry section of your personal library. There's music, rhythm, passion, and knowledge to be gained from these books. Just about every human emotion is addressed in some artistic, literary form within those pages. Like the laws, these can be kind of difficult to understand. They may be best studied later, when you can look for parallels between the prophecies and the story of God's people and Jesus' life and works. The real key to understanding the Bible is first talking to God and asking Him to help you grasp what He may be trying to tell you in that moment. James 1:5 says, "If any of you lacks wisdom, let him ask God, who gives generously to all without reproach, and it will be given him." Remember, God wrote these love letters for YOU, and He wants you to be able to understand what He's said. If you're holding a Bible open in your hands (or on your screen) and reading the words to seek truth, you really can't go wrong. God will bless your time and energy as you get to know Him more. No matter where you start or what you decide to study, whether you go chapter by chapter or skip around, it doesn't make any difference to God. Jesus taught that we need God's Word for life: "Man shall not live on bread alone, but on every word that comes from the mouth of God" (Matthew 4:4). Psalm 19:7-11 paints some beautiful images of God's Word and how it can affect us: "perfect, refreshing the soul . 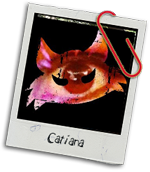 . . trustworthy, making wise the simple . . . right, giving joy to the heart . . . radiant, giving light to the eyes . . . pure, enduring forever . . . firm . . . righteous . . . more precious than gold . . . [and] sweeter than honey." God's Word is the ultimate truth every human heart seeks, and knowing the truth can change everything (John 17:17). The Bible is our personal library of love letters from God—letters that teach, encourage, and comfort (2 Timothy 3:16-17; Hebrews 4:12). It doesn't matter where you start reading; what matters is that you read at all. God will bless your time and energy as you get to know Him more. No matter where you start or what you decide to study, whether you go chapter by chapter or skip around, it doesn't make any difference to God. We need God's Word for life (Matthew 4:4) and knowing His truth can change everything (John 17:17).